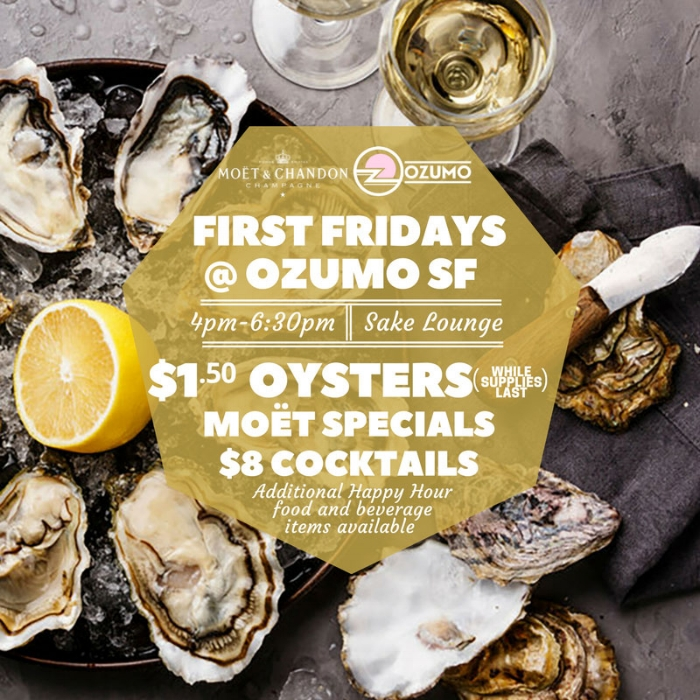 Join us for $1.50 Oysters & Champagne specials every First Friday in the Sake Lounge at Ozumo San Francisco! Pair your oysters with a glass of Moët at a special price! We will also be serving $8 cocktails and additional Happy Hour food and beverage items. Get your shuck on!! !